I’ll probably write a script to ease those steps whenever I get some time ! That would be great Timo, thanks. What if I have a basic vcenter server with 4 nodes (esxi) and around 10 VMs running on it. 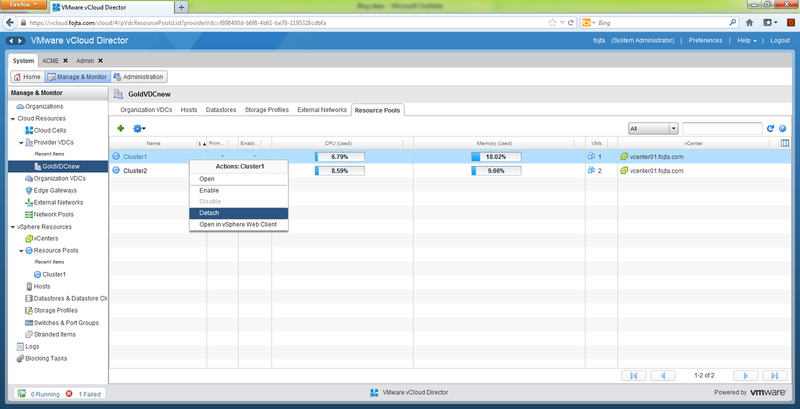 can I implement on the same hardware vcloud director and then move the VMs into vcloud without downtime? 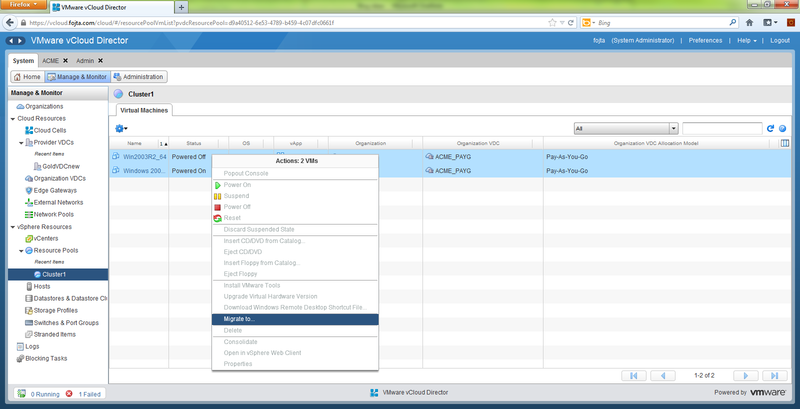 The import of vSphere VM into an OrgVDC by vCloud system admin requires power off of the VM. Then redeploy the vDC Edge. The Edge will be redeployed in the new Datacenter, the old one will be deleted. Edge Gateway migration should work as described in my article. Disable the old RP it sits on and redeploy. Tom, we have an elastic PVDC setup consisting of 5 clusters (1 for NSX ESGs, and 4 for tenant vApps/VMs). We are considering a reconfiguration of this environment (same hardware) such that it consists of 5 PVDCs (1 for each cluster). Here’s the kicker. It has to be performed online and with little to no downtime for tenants. Is this even possible? Appreciate your thoughts. CustomerX needs workload migrated live from Cluster 01 to Cluster 02. As of VCD 9.1 you still need shared storage to migrate VMs between RPs from within VCD. However, you could do migrations directly in VC (VCD 9.x should be resilient against cluster changes). Obviously you need to vMotion the VM to the correct RP, storage policy, port group, etc. Unfortunately what I expected to happen, did happen. Because I am trying to migrate workloads between pVDCs, I don’t have any way of moving them between OrgVDCs without some magic in the back end to remove them from VCD without removing them from vSphere. Maybe a future release of VCD will allow this to happen? Thanks, Dave. Hmm ok so if there is shared storage between compute clusters that should be ok? Sounds like I need to do some testing.